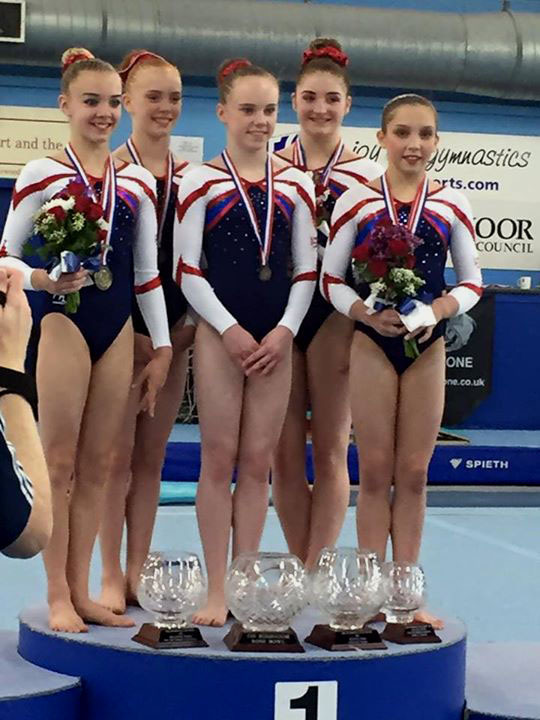 The annual Rushmoor Rosebowl competition took place this weekend with the Team/AA competition on the Saturday, and finishing with the Apparatus Finals on Sunday. The competition included a British Team made up of juniors, some on their first call up, an England A and B team, as well as regional and club teams, plus a visiting team from Spain. The team event is divided into different categories in terms of medals, but looking at total scores, the British team topped the entire competition by a huge margin of 16.050 with 208.10. 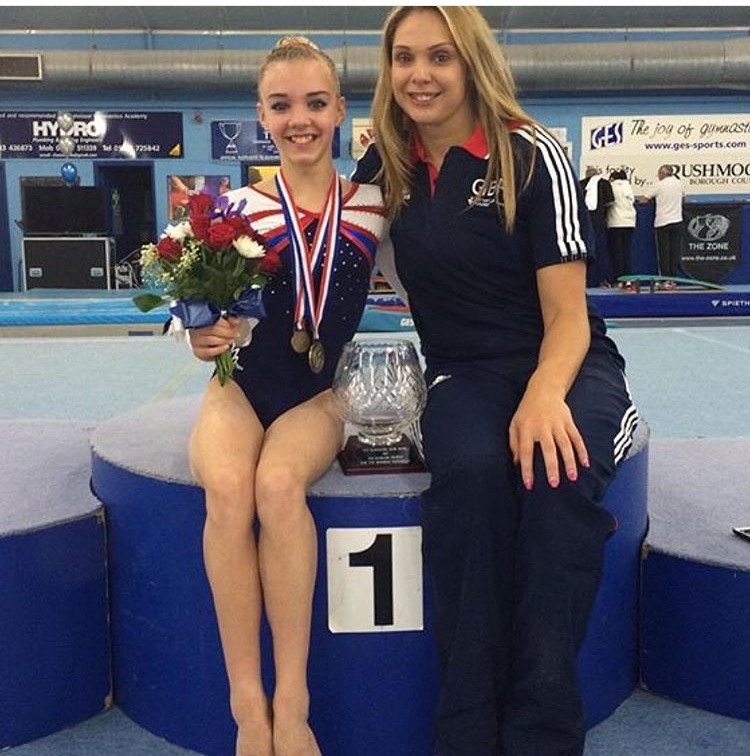 In the AA, Megan Parker in her first GB call up took the gold medal with 52.90, Sophie Scott placed second with 51.850, and Louise McColgan third with 51.650. 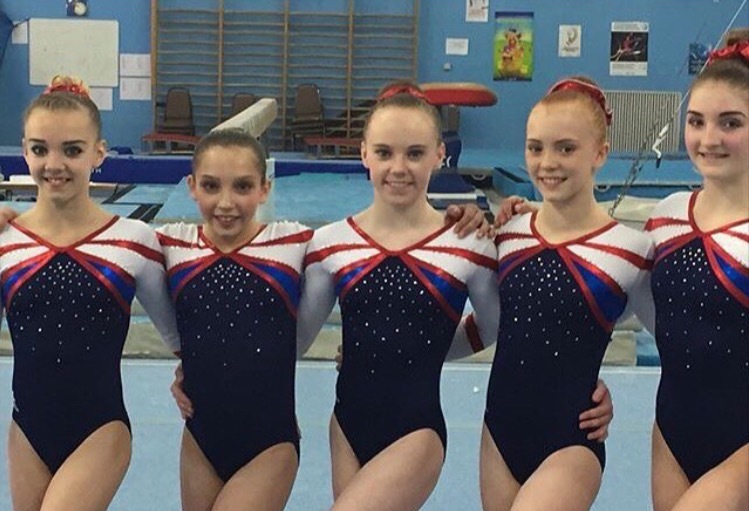 It was a very successful competition for all the British girls, as they took the top five AA places. Sunday’s apparatus finals saw GB’s Sophie Scott maintain her position as top qualifier to take the vault title with 13.675, The Academy’s Abi Solari another junior international this time competing for her Region took silver, and Spanish gymnast Andrea Carmona the bronze. On bars Sophie took another gold with 13.150 improving on her second place qualifying position. Megan Parker took silver, although she was unfortunately nearly a whole mark down on qualifying, Chiara Bunce made it a clean sweep for the GB team on this piece by taking bronze. Beam looks like it tested some of the young gymnasts today, with some of the more successful qualifiers struggling in finals. Megan Parker took the Gold, a little under her qualifying score, but enough for the win. Heathrow’s India Sale took the silver, and great to see Jess Coombs for England back winning medals in third place. On Floor, Louise McColgan maintained her qualifying position, and upped her score to take the gold with 13.750. Abi Solari took another medal with the silver, and Phoebe Turner finished her competition with another medal to add to her team gold, taking the bronze. October 18, 2015 in Competition, Reports.